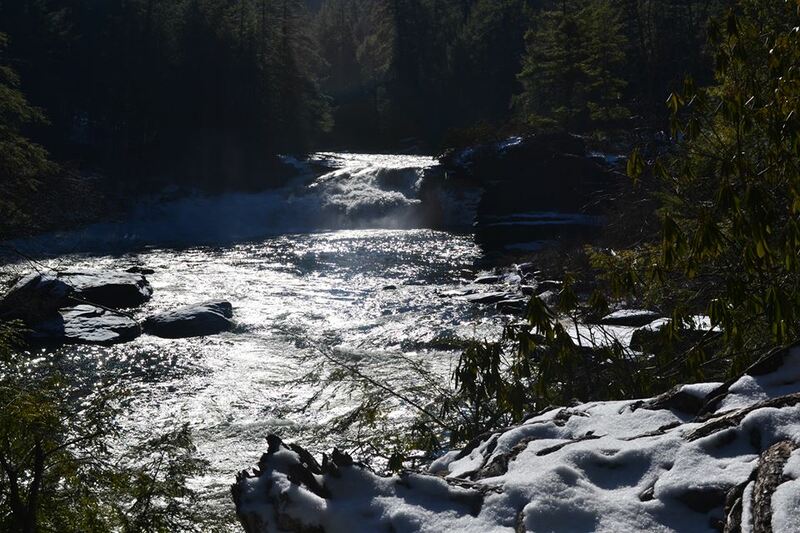 Falls along the Youghiogheny River in unfractured Garrett County. Turns out Garrett and Allegany county residents can’t light their tap water on fire. Yet. 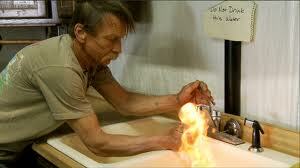 This image, from Josh Fox’s 2010 Gasland, showed a resident lighting his tap water on fire. Methane levels are not regulated in drinking water, so little testing had been done, Bolton said. Methane mostly poses a problem if it builds up in a confined space, because it can burn, explode or displace oxygen, causing asphyxiation. The sputtering or spurting water can also interfere with well water pumps. But methane became a literal flash point when some residents near fracking wells in other states showed Josh Fox, in his movies Gasland 1 and 2, how they could ignite water from their kitchen faucets and streams — a chemistry experiment they said they had not been able to do before drilling began. 44 (56 percent) had no detected methane (levels below 1.5 micrograms/liter). 34 wells (44 percent) had levels above 1.5 microgram/liter. Of those wells above 1.5 micrograms/liter, only four had levels exceeding 1,000 micrograms/liter. No well exceeded 10,000 micrograms/liter (or 10 milligrams/liter), the level at which action should be taken. Although higher concentrations were in valleys and coal bed areas, he said, all levels were low. In his search for samples with high levels, Bolton asked local Health Department officials if they knew of wells with methane problems and was directed to a home where pipes shook badly and a cap had blown off the well. That homeowner had fixed the problem, so Bolton went next door. That water had the highest concentration of methane: 8,550 micrograms/liter, still below the 10,000 micrograms where action is recommended. Although he tried, Bolton said, he “never had anything light on fire.” A spokeswoman at the Garrett Health Department also said no one has ever reported being able to light tap water on fire. Scientists at Duke University have run similar experiments in areas where fracking is under way. A team led by Drs. Robert Jackson and Avner Vengosh, in studies published in 2011 and 2013, compared methane levels in 141 water wells, mostly in northeast Pennsylvania but a few in New York. The scientists found that water wells within 1 kilometer (0.62 miles) of one or more fracking sites had methane concentrations six times higher than those farther from drilling sites and that methane levels increased with proximity to a drill site. Ethane concentrations also were 23 times higher, and propane was detected in 10 wells within a kilometer of drilling operations. The highest level recorded was just under 70,000 micrograms/liter. Concentrations outside the 1-kilometer radius averaged 1,100 micrograms/liter. So where does this methane come from? Methane from decaying plants and animals, or biogenic methane, can get into ground and surface water. Bolton said, for example, that decaying leaves or a dead deer in the forest can send methane traces into streams or well water. Methane deep underground comes from the long-decayed plant material (coal) or from the pressurized remains of animals that walked the Earth eons ago (oil and gas). And scientists can date this thermogenic methane, determining whether, for example, it’s from coal, the Devonian layers or deeper Marcellus Shale. The Duke scientists found that all of the water wells with methane concentrations greater than 10,000 micrograms/liter had “signatures consistent with thermogenic natural gas.” Because of the isotopic fingerprint, they concluded that the methane and ethane migrated to the water through “faulty or inadequate steel casings” or “imperfections in the cement sealings,” which are designed to keep the gas and fracking fluid from leaking into the environment. 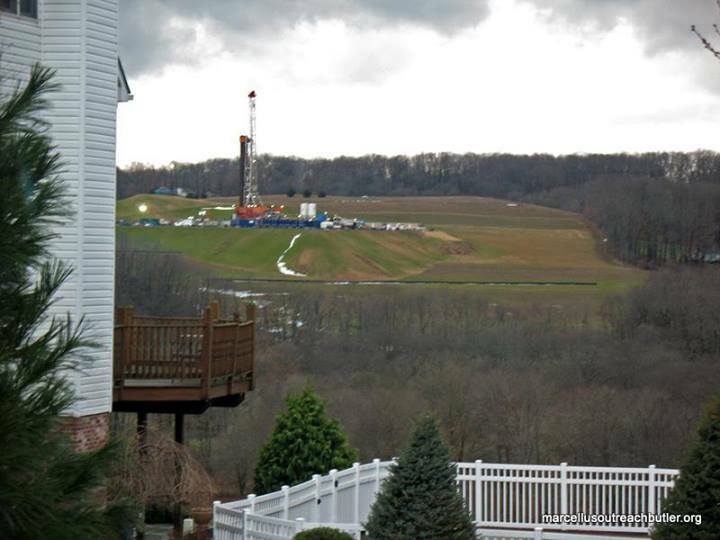 (They note that the Pennsylvania Department of Environmental Protection issued 90 notices of violations for faulty casings and cementings on 64 Marcellus Shale wells in 2010, and 119 similar notices in 2011.) Other research on casings has determined that “cement failure is ubiquitous, chronic and well-known” and that unconventional fracked wells (those that drill vertically and then turn at an angle — the sort that has created all this controversy) are more likely to fail and leak over time than conventional wells. Bolton said his findings indicate that “thermal maturity of methane we tested [in Maryland] was less than Marcellus in Pennsylvania” and that background levels of methane are relatively low. The draft report on best practices set a number of setbacks, including 1,000 feet from the borehole to private groundwater wells or occupied buildings, such as a school or church; 2,000 feet to public groundwater wells or water intakes; and a mere 300 feet from the edge of the drill disturbance area to streams, rivers, wetlands, trails and parkland. Asked about the state’s recommended setbacks, Bolton said in a phone conversation that he was involved with science, not regulatory policy, and that more data are needed. Nevertheless, “if the state wants to be cautious, they should have a larger setback,” he said. Unless Maryland officials are just going through the motions, with health, economic and other studies, a decision on fracking here is still a ways off. (And pressure to frack would increase exponentially if Dominion gets permission to export liquefied fracked gas from expanded facilities at Cove Point.) Western Maryland, though, is still mopping up from the coal industry’s incursion. By the 1960s, 120,000 pounds — that’s 60 tons — of acidic water drained every day from abandoned coal mines into the North Branch Potomac River, leaving the water “biologically dead for many decades,” according to the Maryland DNR. Adding lime from “dosers” to the river’s tributaries in Garrett and Allegany counties, which costs $321,000 a year, is neutralizing the acid, making it healthy for brook trout and other aquatic life as well as recreational businesses that bring in an estimated $3 million in economic benefits a year to the area. Clean water is good for business. 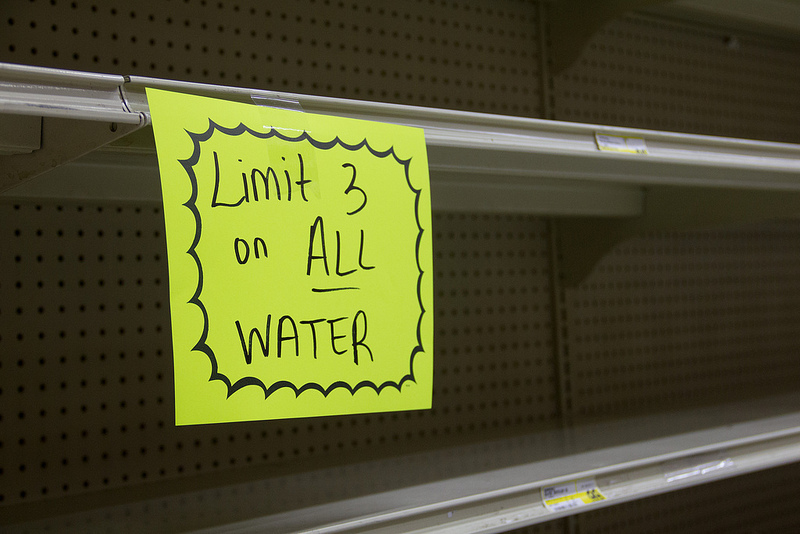 Water bottles filled a store aisle in West Virginia at the height of the crisis. Another fossil-fueled water crisis is ongoing in West Virginia, where a toxic chemical for cleaning coal oozed into the Elk River and then the tap water of 300,000 people in Charleston and surrounding communities. The intake pipe for privately owned American Water was a mile downstream from Freedom Chemical’s huge tanks of unregulated and, it turns out, leaking toxic chemicals. Already, the chemical company has declared bankruptcy and moved to shift blame to the water company for not closing the intake valve. Days into the crisis, Freedom Chemical disclosed that a second chemical compound had leaked. It kept the identity of that chemical secret, for proprietary reasons, a loophole familiar to fracking companies and people with mysterious ailments. The state declared the water safe, but then said pregnant women and perhaps children should not drink it. And then the governor told residents they would just have to decide for themselves whether the water is safe to drink. This time will be different, the fracking industry insists. Maryland will have the toughest regulations. And, if mistakes are made, Jeffrey Kupfer, the Chevron representative on the state’s advisory commission, has said that “lots of alternatives” exist for replacing contaminated well water. Which seems like a dishonest and cavalier way to talk about other people’s water. And as the West Virginia tragedy points out, the line between public (or privatized) and private water can be thin. Both are vulnerable to wandering toxic chemicals. Over the weekend, the WVWaterCrisis Solidarity group was to deliver its second truckload of water and other supplies donated from the DC and Maryland area. Other groups have made similar runs. Perhaps 10, 20, 30 years from now, fracked states will be pleading for clean water. About 75 percent of the fracking fluid remains underground for the ages, mixing with the radium, benzene, brine and all the rest below. When the toxic and proprietary soup blasted into the well hole eventually reaches aquifers through crumbling concrete and new fissures, we could be West Virginians, searching for clean water. If any remains. And the drilling companies, like their coal brethren before them, will be long gone. As I drove home from Garrett County on Thursday night, the West Virginia radio station interrupted its program every 20 minutes or so to warn listeners in five counties not to use their water. A chemical was leaking into the Elk River near Charleston, the state capital. Then the number of affected counties rose to nine. The governor ordered a state of emergency. Don’t drink the water, the announcer said. Don’t wash with the water, cook with the water, or brush teeth with the water. Toilet flushing was ok, as was putting out fires. Safe water supplies were coming. If you already drank the water, you were probably ok. If you felt sick, though, you should seek medical help. Schools would be closed the next day. 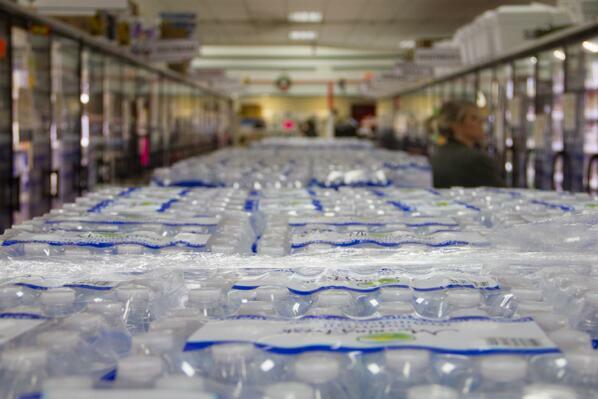 West Virginians line up for water. Turns out 4-methylcyclohexane methanol, a chemical used to scrub impurities out of coal, had been leaking from a storage tank at Freedom Industries, about a mile upstream from West Virginia American Water’s intake facility. The company, aptly named, is exempt from state permitting and inspections because it stores but doesn’t produce the chemical. No one knew how long the chemical — which the local health department said causes “burning in throat, severe eye irritation, non-stop vomiting, trouble breathing or severe skin irritation such as skin blistering” — had been leaking into the river that supplies water to 300,000 people. While warnings were going out about yet another sacrifice that West Virginians had made so industry could function unfettered and the rest of the country could burn cheap coal, some Garrett residents gathered at the county health department to hear about the sacrifice they might be asked to make so the rest of us, or even Asia, could have cheap fracked gas. “We live in a country that … ostensibly ought to protect human health from a lot of environmental health hazards. But it does not do that very well,” particularly in the field of oil and gas extraction, said Dr. Jerome A. Paulson, director of the Mid-Atlantic Center for Children’s Health & the Environment, a professor of pediatrics at the George Washington University School of Medicine and Health Sciences and professor of environmental and occupational health at GWU’s School of Public Health and Health Services. For starters, the oil and gas industry is exempt from a number of federal regulations designed to protect public health and the environment. Another key concern is that this industrial activity is allowed near homes and schools (a 1,000-foot setback from borehole to occupied buildings is proposed in Maryland). Children “eat more, drink more, breathe more per unit of body weight than adults,” he said. They get a higher dose of contaminants than adults in the same environment, and they detoxify with more difficulty. And they live longer, he said. If an adverse outcome shows up 40 years from now, he said, the children we expose to harm today will be around to pay that price. He described a number of hazards from the drilling, which lasts one or two months, and the fracturing of the well, which lasts a week or two, and the gas extraction, which happens intermittently for years or even decades. Each phase carries risks, from noise, lights and odors to air and water contamination, community disruption and climate change. Although no data exist on widespread effects, “there are plausible routes of human exposure,” he said, and industry should bear the responsibility to minimize the risks to humans and the ecosystem, to disclose the chemicals, and to pay for research. Around-the-clock noise and bright lighting during some phases of the operation can cause stress that interferes with sleep and learning, for example. Research on noise from loud trucks and jet engines shows that “kids in those schools [nearby] don’t do as well,” he said. Lighting and noise disrupt sleep, which changes hormone levels, causes cardiac stress, and interferes with concentration — of schoolchildren as well as parents driving them around or at their jobs. “Noise is not something to be ignored,” he said. Thousands of diesel-powered truck trips to carry millions of gallons of water, silica sand and equipment are needed for each well, sending particulate matter into the air. He examined one recent study that found that as Pennsylvania mothers’ proximity to fracked wells increased, their babies’ birth weights decreased. “It seems like a minor thing, but size at birth is a strong predictor for all sorts of things,” Dr. Paulson said. During the production phase, noisy compressors run constantly. Burning off, or flaring, of gases produces nitrogen oxides and volatile organic compounds which, when mixed with sunlight, create ozone that is “very toxic to human lungs,” Dr. Paulson said. Ground-level ozone causes a chemical burn in the mucous membranes of the lungs and nose. It also causes coughing, exacerbates asthma and emphysema and, in children, leads to premature aging of the lungs. The synthetic fracking chemicals, which industry is allowed to keep secret, pose another hazard. Many are toxic or carcinogenic or both. Although the fracturing happens a mile or so below aquifers, the drill passes through this water source. Leaks at the drill or underground could eventually reach aquifers, and spills from trucks or at the well site have ended up in surface water. Methane has been found in tap water in homes near wells in Dimock, Pa., and Parker County, Texas, he said, and a Duke University study found that well water in homes closer to fracking operations had higher levels of ancient methane consistent with the Marcellus and Utica shales. Methane isn’t toxic, “but it doesn’t travel by itself,” he said. Along with it come benzene, toluene and ethylbenzene, which are toxic, as well as salts, radon and heavy metals, chlorides and bromides previously locked up in the shale. Research on benzene exposure, such as from car exhaust, shows an association with an increased risk for brain or spinal defects in babies and for acute leukemia in children. And methane is a powerful greenhouse gas that is “vented and leaked … routinely and continuously at the well site,” Dr. Paulson said. Dr. Paulson gave credit to Maryland for conducting a health study before deciding whether to allow fracking. “But people ask: What can be measured in my body to show whether I’ve been impacted or my children have been impacted? … I don’t have a clue,” Dr. Paulson said. 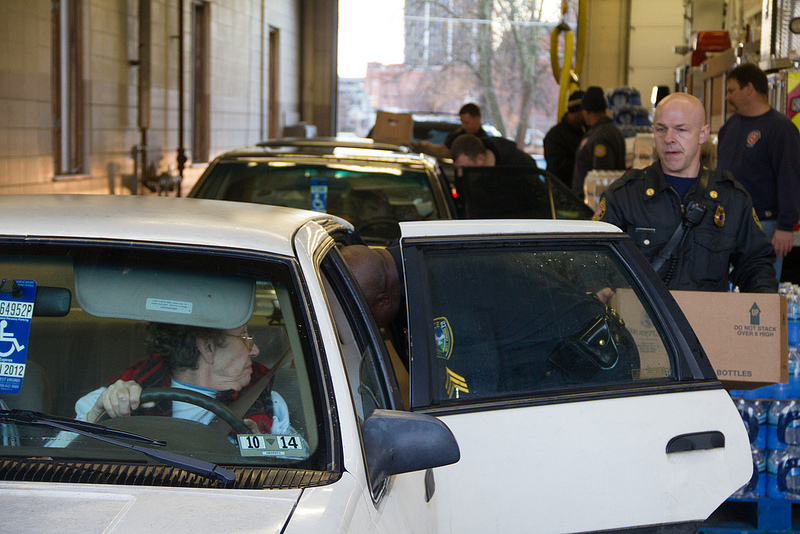 “We don’t know the chemicals or the concentrations getting into the body,” he said. And we don’t have good biomarkers to indicate exposure. Or how much exposure makes someone sick. That broken system already has some Western Maryland residents trying to figure out how “innocent bystanders” might be compensated should fracking go forward. Last month, Paul Roberts, a farmer, winemaker and citizen representative on the state’s Marcellus Shale study commission, arranged two meetings with residents about creating a remediation fund. Who would pay into such as fund? How much should people be compensated to “take a hit” to blast out the last bit of fossil fuels? How much money would be needed in such a fund? A Facebook page was set up for people offering water to take to West Virginia. Which could just as easily be said about clean air and land and a climate safe for humans and all life on our planet. The question going forward is whether we will accelerate fracking — because we’ve always allowed industrial blowback in our midst. Or whether we will say no, because we know not enough and yet too much to allow this lopsided arrangement with industry to continue. We could say no, because this process, imposed on our farmland and neighborhoods, is too close to homes and schools. Or because we have seen one too many exploding gas lines and compressor stations, too many chemical spills into creeks, too many overturned tanker trucks and train cars, too many mysterious cancers linked to nothing in particular but everything in general, too many children storing asthma inhalers in the school nurse’s office, too much heart and lung disease — even in people who don’t smoke. And if this isn’t the time to draw the line, when the climate is deteriorating and the oceans acidifying and extinctions accelerating, when is? 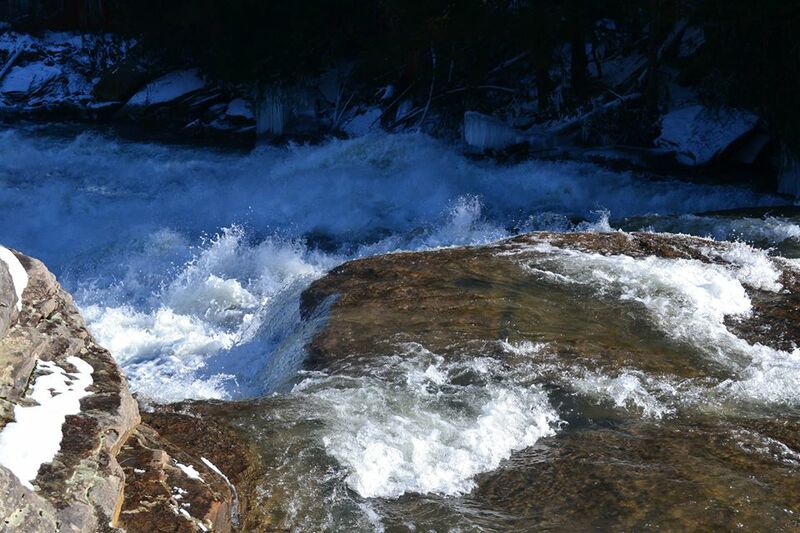 In West Virginia, clean water suddenly seemed more precious.